April Fools is one of those weird times in the industry where everyone still gets excited over the tongue-in-cheek gags that get thrown around, ones that’re just too silly to be real scuttlebutt. 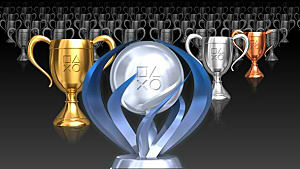 One company of note that has a reputation for going all out on April 1 is SEGA -- and this year was no exception, as gamers were treated to a new release on Steam that day, a side-scrolling pixelated throwback to Platinum Game’s gun-toting witch, Bayonetta. 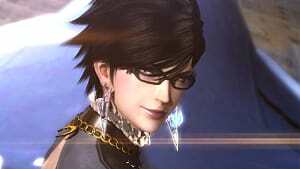 The effort put into 8-Bit Bayonetta was a flashy tease to the heroine’s eventual port over to PC, but the extravagant prank also managed to raise some other questions about the studio’s library, specifically the whereabouts of one particular title, Vanquish. 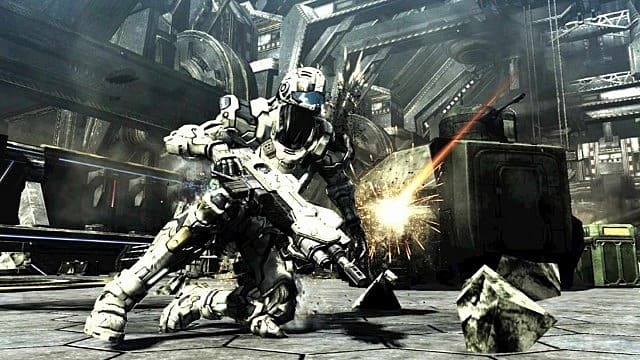 The fast-paced, acrobatic bullet ballet known as Vanquish is to third-person shooters what Bayonetta is to hack ‘n slash action affairs, and as the years go by, it bewilders me (and others) more and more as to why the game has been denied a budget port to Steam. Long before Nier introduced the idea of throwing multiple gameplay styles into a big budget melting pot, the Platinum Games shooter did it first -- and with big talents at the helm, like Hiroki Kato of God Hand fame, Masaaki Yamada, who was one of the key-figures behind Bayonetta, and Shinji Mikami himself, the legend responsible for Resident Evil and Devil May Cry. 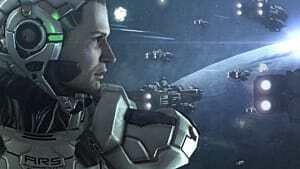 Each stage is a test of skill as you’re zipping back and forth on your jet thrusters between enemy strikes, firing at and punching anything in front of you with the constant sound of explosions and salvos popping off around every corner —you’d be hard-pressed to find another sci-fi shooter that offers as much pulp-action as Vanquish. 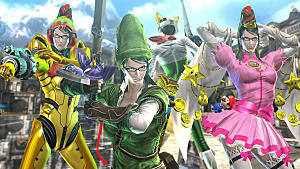 Sure, there was shooting in Bayonetta, but that gunfire was secondary to the kicks and strikes that you launched from the femme fatale, performing them in a combination of maneuvers against overwhelming mobs of angels. 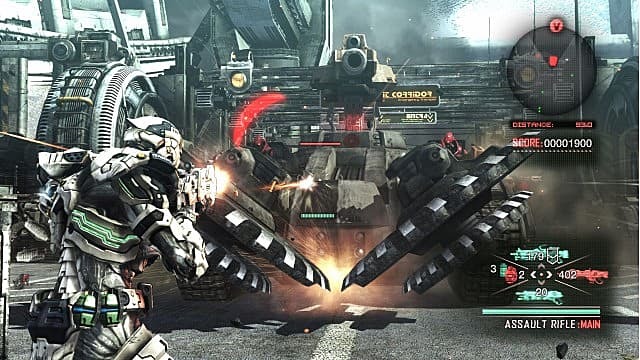 Vanquish somewhat flips that dynamic, embellishing heavy artillery use among the different firearms in your arsenal, and downplaying the use of direct melee, pushing it as a last resort. 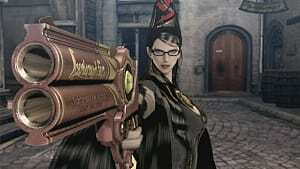 What's more, the Platinum shooter had you evading in different ways, but never in a fashion that was direct and indomitable like Bayonetta. Instead, Vanquish emphatically focused on your movements as tactical and calculated, regardless of the velocity at which you played. . 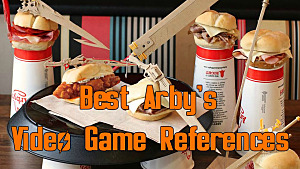 The sky was really the limit when it came to this 2010 sleeper hit, and with all the emphasis it put on pumping non-stop fluid action out of its gameplay, it would be in SEGA’s best interests to deliver an upscaled remaster of the game utilizing the very best of today’s technological advancements. Natively, the game runs at 30 FPS and 720p, which is impressive when you think about how frenetic the combat still is today, in spite of its limited processing power. Just imagine what the game would play like if it got 4K facelift at 60 FPS? It would be an entirely different game. Granted, a game doesn’t need to run at 60 FPS or 4K support to be good; hell, just look at Breath of the Wild, the strongest game of the year contender for 2017, and it doesn’t deliver either. 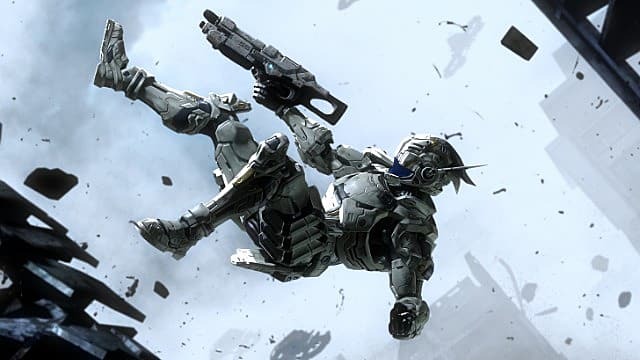 There are plenty of games that don’t need the treatment, and some that would be worse off running at the buttery smooth framerate of 60FPS—However, Vanquish is certainly not one of the games. The lightning fast animation would do wonders to compliment the pace at which the action title wants to run, adding more of an impact to the intensity on screen. It would be the definitive version of the game, making the experience what it was meant to be. 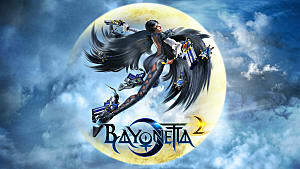 SEGA currently retains the publishing rights to the title, and they’re no stranger to dealing with PC, so why all the love for Bayonetta? Nothing against the lady, but she’s had her time in the sun with cameos, platform-exclusive sequels, and even an upcoming Amiibo release for the Switch port of Super Smash Bros Wii U—she’s had her time in the spotlight. Let’s redecorate the political space-opera with the lovable Sam Gideon and Elena Ivanova running the shots at 4K resolution -- or even 1080P for that matter -- reviving the trigger-itchy frenzy at a sleek 60 FPS. The Platinum Games frenetic already-classic shooter deserves a second chance like this, especially when it can be the only real way to experience the action gem.